Vinyl vs. Wood Windows: Which Windows Should You Buy? Should you buy Vinyl or Wood Windows? There are multiple window types to choose from, which can sometimes be overwhelming for buyers. Many people aren’t sure which material will look best in their home. Buying windows is a big decision in itself. To help you make the right purchase, we’ll compare the pros and cons of vinyl and wood windows. Are wood windows better than vinyl? Are vinyl windows better than wood? What exactly is the difference between vinyl and wood windows? To make an informed decision, we’ll discuss the difference between the most commonly purchased window types. Window efficiency is probably your number one concern. You would think vinyl and wood windows have two different levels of efficiency because they aren’t the same material. But… They perform very similarly when it comes to window efficiency. Other factors set them apart: Window maintenance, price, and customization options. In the past, wood-exterior windows needed sealing or painting, not just at the time of installation but through their lifetime. This action was done every 3-4 years to help protect from elements. Efficiency Home Improvements offers modern wood windows with aluminum cladding on the exterior that will never need painting. Vinyl windows need very little upkeep; no painting or sealing is necessary. A yearly wash and a checkup to ensure they’re functioning correctly are all that’s necessary. You’ve probably heard wood windows are easier to customize than vinyl. You’re right; this is because wood can be stained or painted to your desired color. Aluminum cladding protects the windows and offers a wide array of color options. This allows the homeowner to enjoy the beauty of a real wood grain interior which can be stained or painted in the factory to standard color offerings, or unfinished so the homeowner can finish. It is recommended to find a factory finish that will match your home’s interior. 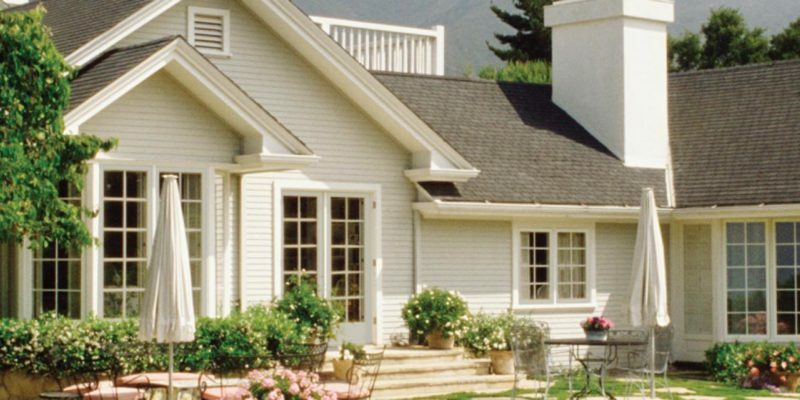 Cladding can be chosen from standard offerings to match the home’s exterior colors or even custom matched to a paint color. This is usually offered only on the highest level series for a premium. Vinyl windows are available in limited colors other than white; vinyl just can’t ever be painted. There are a variety of colors and finishes available to match your home. (A salesperson will help point you in the right direction when choosing a color). Many people purchase wood windows for the visible appearance of the wood grain. Vinyl woodgrain laminate is available and can be matched to cabinets and floors. There is a difference in vinyl woodgrain laminate and wood window texture. The classic style of wood is always a favorite. Yes, vinyl windows are a more basic window compared to wood, but you probably will spend less money with this option. Plus, if you choose vinyl, you don’t have the hassle of resealing or painting your windows every view years. If you’re happy with a basic functioning window with limited color options, vinyl is for you. Some neighborhoods and style of homes will dictate this choice. If you can’t stand the look or feel of plastic on your classic craftsman home, then wood windows will be great in your home. You might be paying more for wood, but you will maintain a high resale value with your historic home. Wood windows can cost 1.5-3 times the cost of vinyl windows on average.